Historically, Xelha was one of several key ports of the Maya city of Coba; and a point of intercultural exchange between the Maya and other sea-navigating peoples between the 7th and 12th centuries. Later on the lagoon was used as a base by Spanish conquistadors during the ultimately unsuccessful first expedition in 1527–28. 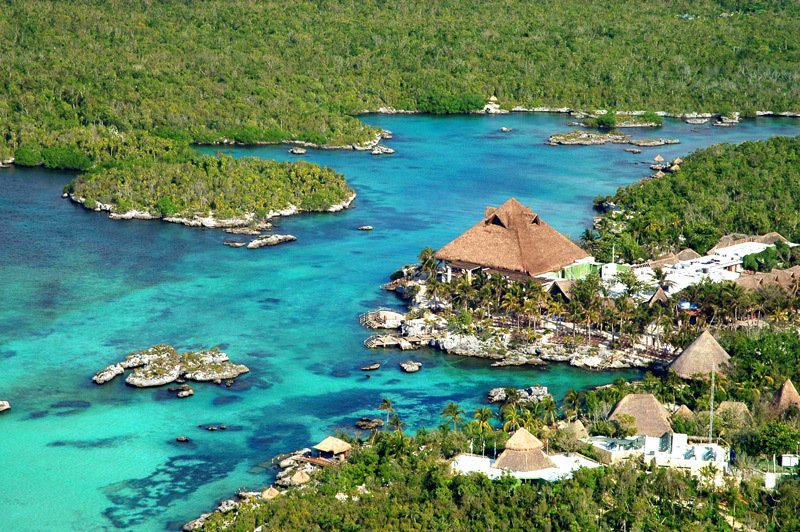 Xel-Ha Park is open 365 days a year from 8:30 a.m. to 5:30 p.m. It is located in the heart of the Riviera Maya, 110 km south of Cancun, 44 km south of Playa del Carmen. Most common way to arrive here is an organized tour directly from hotel. There are also public buses from Cancun (Av Uxmal) and Playa del Carmen (5 th Avenue) to reach Xel-Ha. Also easy to find if you have your own car. An all inclusive package with all regular water activities + free drinks + breakfast is 80USD. Same package with the dolphin swimming is around 240USD. Ik Kil is a beautiful round cenote in the Ik Kil Archeological Park near Chichen Itza. The cenote is about 60 metres (200 ft) in diameter and about 40 metres (130 ft) deep. The Great Blue Hole is a giant submarine sinkhole off the coast of Belize. 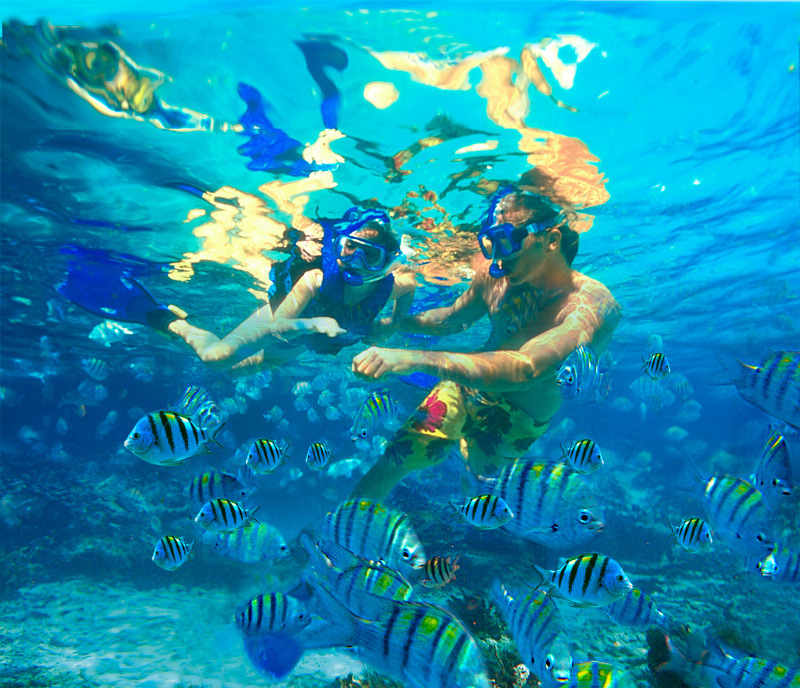 This site was made famous by Jacques Cousteau, who declared it one of the top ten scuba diving sites in the world.